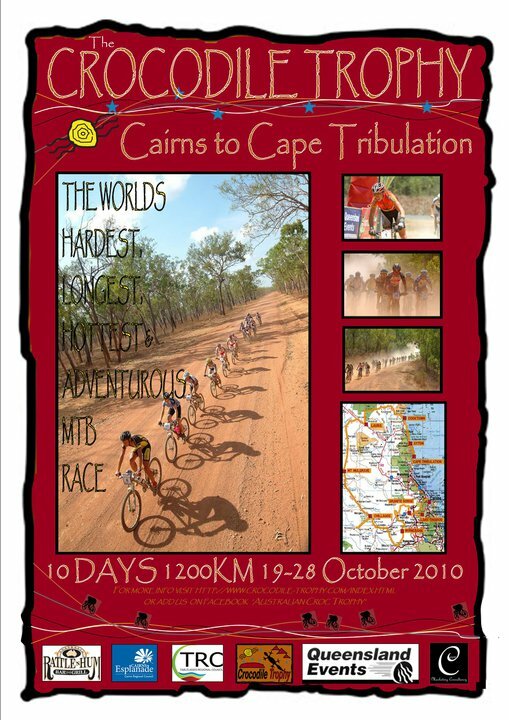 Billed as the hardest, longest, hottest and most adventurous mountain bike race in the world, the Crocodile Trophy kicks off tomorrow. 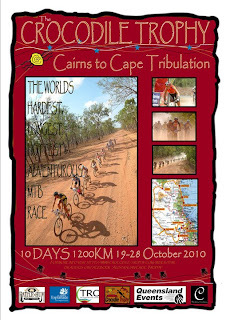 The journey takes in 1,200 klms from Cairns to Lake Tinaroo on the Atherton Tablelands, Granite Gorge, Irvinebank, Chillagoe, Laura, Cooktown, returning via the coastal unsealed road via Ayton to Cape Tribulation, on the 28th October. Last month one of the cycling's greats, five-time Crocodile Trophy participant, and five-time Race Across America champion, Jure Robič crashed on his mountain bike while training for this years Crocodile Trophy. "On behalf of the whole Crocodile Trophy we would like to say Goodbye to Jure," Regina Stanger says. "He will truly be missed. Jure was racing with bib number 17 in 2009 - so we decided that no other rider will race with number 17 in 2010."